We’re your key to safe driving for life! With 50 years of teaching experience and 200,000+ safe drivers. Offering fun and innovative classroom and online programs through our engaging, proprietary curriculum; state-of-the art training vehicles and instructors exceeding the state minimum requirements.​ Arizona Department of Motor Vehicle approved permit waiver for teens who want to be safe drivers, and for drivers who are looking for defensive driving courses. We are an Arizona Motor Vehicle Division approved professional driving school to provide this course. Arizona Teen Drivers Ed online class prepares teens for the MVD test to get your driver’s license. Practice test available. We accept Visa, MasterCard and Discover. We also accept pre-paid cards. We also accept payment from government organizations as well. For information on this please call our corporate office. How old does the student have to be to get their permit? You have to be 15 years and 6 months old to take the permit test. Do you have to obtain a permit to take driving lessons in the State of Arizona? What are the requirements? The teen and parent must provide necessary application documents. Will you get an insurance discount if you take driving lessons through All Star Driver Education? All of our programs qualify for insurance discounts, but each insurance company is different. We recommend that you contact your insurance company directly to see if they give a discount for enrolling in driver education classes. Do you accommodate learning and physically disabled students? All Star strives to work with students of all learning and physical levels, however, there are certain limits to what we are able to do. For further information, please contact our office. What do you offer in my state? This course meets the requirements for teens in the state of AZ. Final must be complete IN-CLASS. How old do I have to be to take private lessons? 15 years and 6 months or older with a valid permit. To register you will need to call our corporate office. How long is the wait time for drives? Wait times vary based on location, to get a locations current wait time please call our corporate office. How much is the behind the wheel? What do I need to bring to my first drive? You will need to bring your permit and private lesson contract. When you call into the office please have a Visa, Discover, or MasterCard ready to make the payment. We also accept pre-paid cards. If you wish to mail a check or money order you can, however you will not be able to begin drives until we have that payment. To mail a check or money order please call our corporate office for more information. How do I set up my drive times? Once you have registered and paid in full, the representative will send your contact information to the instructor in your area. From there the instructor will contact you to set up your drives. How do I get the contract? You should receive a confirmation email with that attached, if not, please call our office. Can I get a discount on my insurance for taking these? Each insurance company varies. Check with your insurance provider before registering to see what you can qualify for. As long as you have not begun your drives we can refund you. The refund process requires you to call our corporate office. All refunds are processed back to the card used to make the original payment, and can take 7-10 business days to be processed back to your card. NOTE: If the original card used for payment is no longer active please let us know upon requesting a refund. In this case we will provide your refund in the form of a check, this will be mailed and made out to the person who made the payment. There are no exceptions to this. No as this is not a state requirement. We can however provide you with a letter of completion. No. The state no longer requires you to take this course, but it is great practice for the test at the MVD. How long will it take to complete this Arizona Permit Waiver Course? 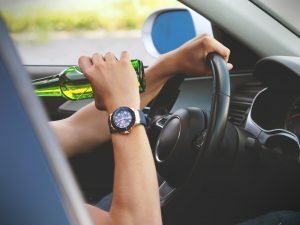 As required by the state, driver’s license training for teens must be a minimum of 30 hours in length. If you need to take a break or want to complete the course in smaller time increments, our system will remember where you stopped, and you will be able to pick up where you left off last each time you login. You can only do up to 2 hours per day, so make sure to log out when you are done! Why should I take a driver’s education course? Driver’s Education courses are the best way to prepare students for the MVD written test required to obtain a license. 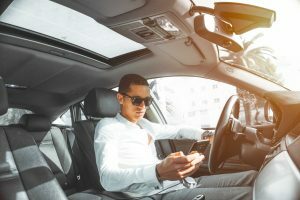 Not only does Driver’s Education cover vehicle basics, maneuvers and state/federal laws, but also tips and tricks that will keep you safe on the roads; otherwise known as defensive driving. Any computer with internet access will be able to access our online course. We recommend Google Chrome when accessing our courses, as it will provide the best view of our materials, though most any other browser will work just fine. Google Chrome is a free browser, available for download on the Google website. You will not need to purchase or download any software or hardware. Please keep in mind our course is not yet compatible with phones and tablets.